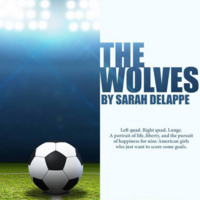 Trinity Theatre, "The Wolves" by Sarah DeLappe and directed by Stacey Connelly. A girl's indoor soccer team warms up. From the safety of their suburban stretch circle, the team navigates big questions and wages tiny battles with all the vim and vigor of a pack of adolescent warriors. A portrait of life, liberty, and the pursuit of happiness for nine American girls who just want to score some goals. All productions are in Stieren Theater, Ruth Taylor Theater Building, unless otherwise indicated. Tckets: $12 regular, $8 faculty/staff/alumni/senior citizens, $6 students. For reservations, call 210-999-8515. Curtain times: Friday and Saturday at 8 p.m., Sunday at 2:30 p.m., Wednesday and Thursday at 7 p.m.